Finally started building my line now that the better weather is here to stay. 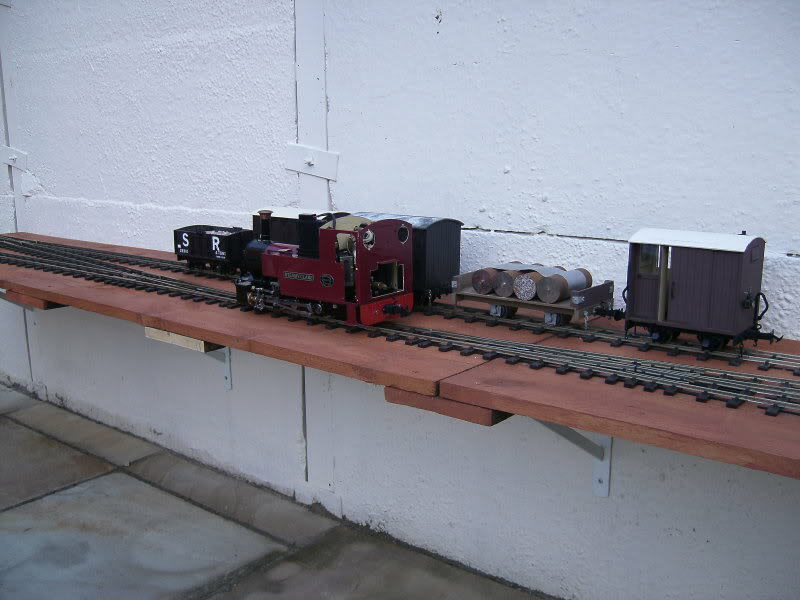 The first stage you see here is the steam-up area and allows rolling stock to be added as well. 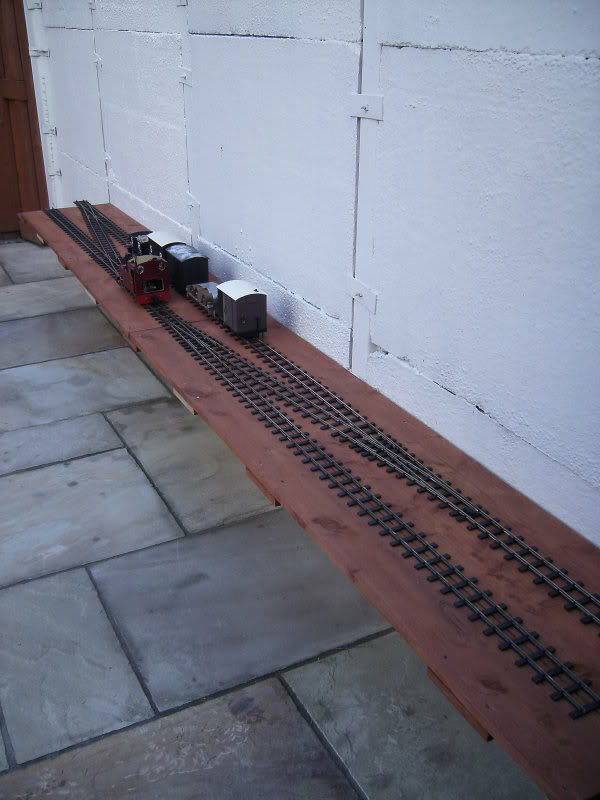 I will be boxing this all in adding gravel and lineside features as I go. 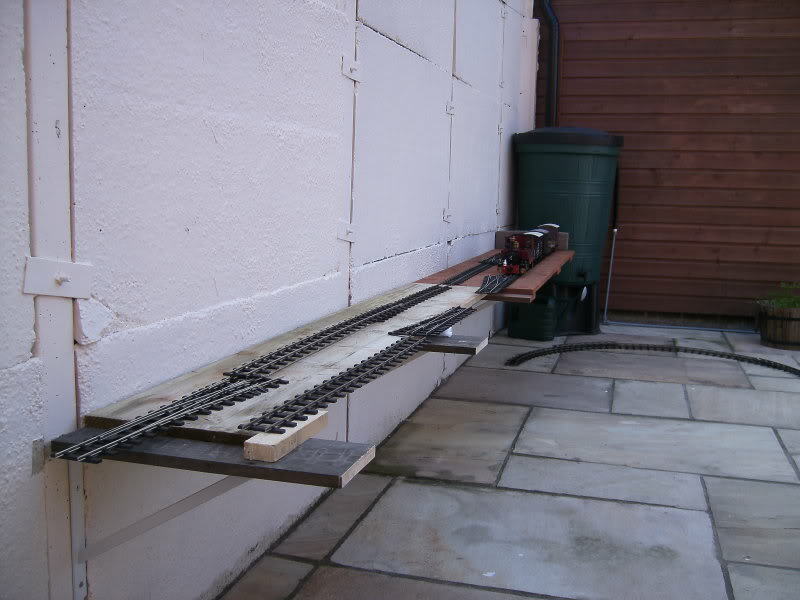 The track will eventually go off into the garden in a dog bone shape with trains being able to return to the steam-up area when they need to take on water/fuel, etc. Last edited by tom_tom_go on Wed Jul 29, 2015 9:14 pm, edited 4 times in total. Wa-hay! another new build to follow! Congratulations on cutting the first sod (or screwing the first bracket! ), the plan looks like it's going to keep you busy for a while and should be a nice line when you're done, looking forward to progress reports! 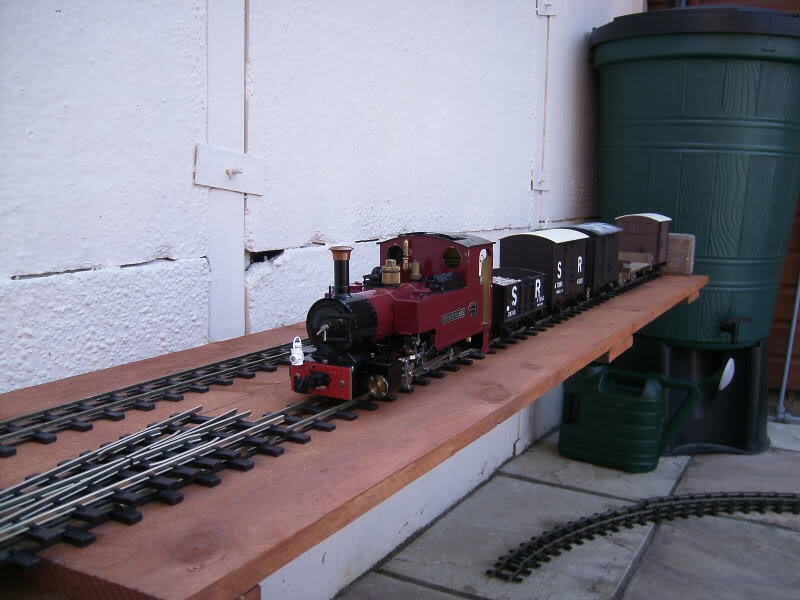 Horah for the shelf railway! Yours looks rather more complex than the DVLR ever was or ever will be! 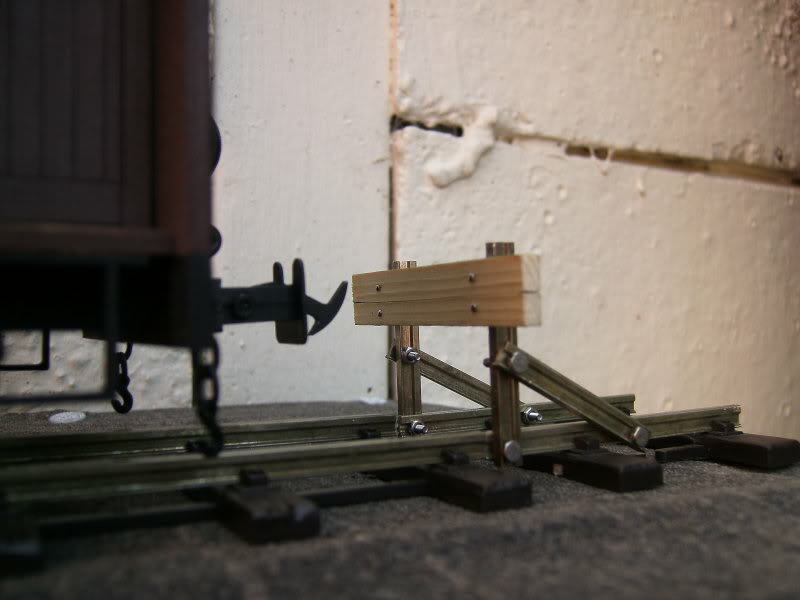 Horah for the shelf railway! 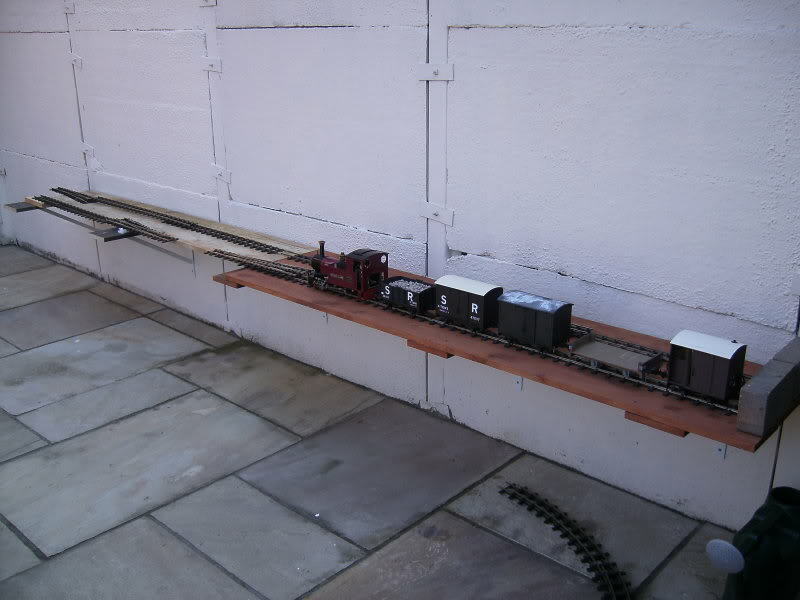 Nice little collection of wagons there. 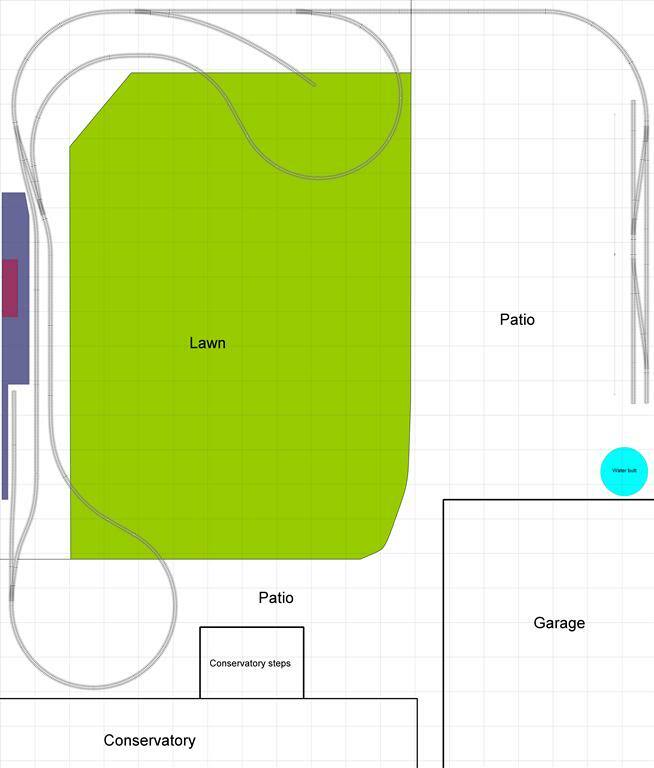 I like the planned layout with the loop and spur track. Looks like a good start has been made there!!! Rather like your plan. What software have you used to produce that? 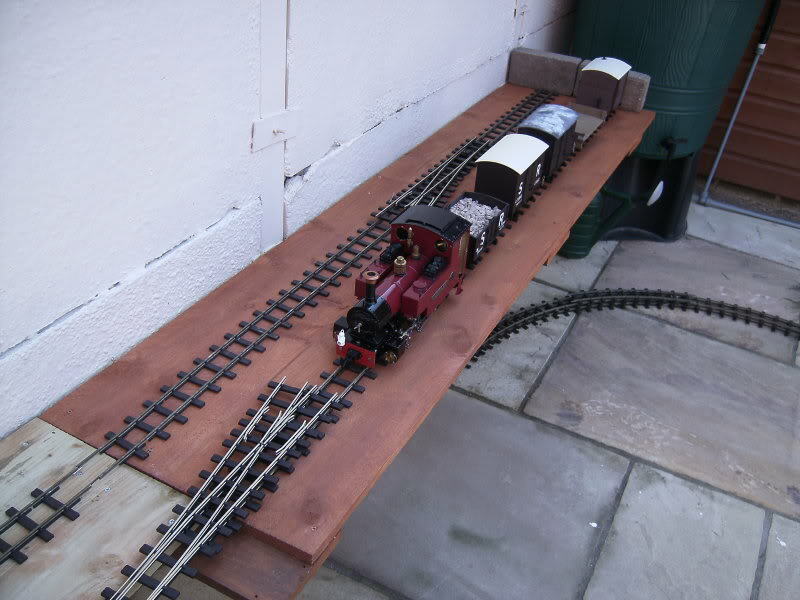 "Who has stolen the 3 link coupling off the end of my train?!?! "So, which comedian has uncoupled my entire train?!?!" bungle80a:53202 wrote: Looks like a good start has been made there!!! Rather like your plan. What software have you used to produce that? 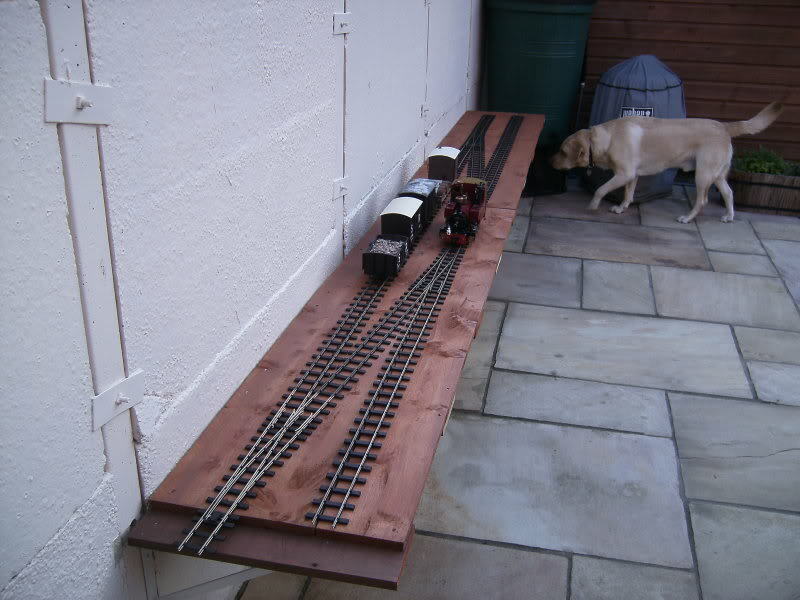 You can download a limited version of the software from www.anyrail.com - the only limitation is that only 50 pieces of track can be used in your design. I purchase the full version because it can design all sorts of scales and even help with CAD projects! 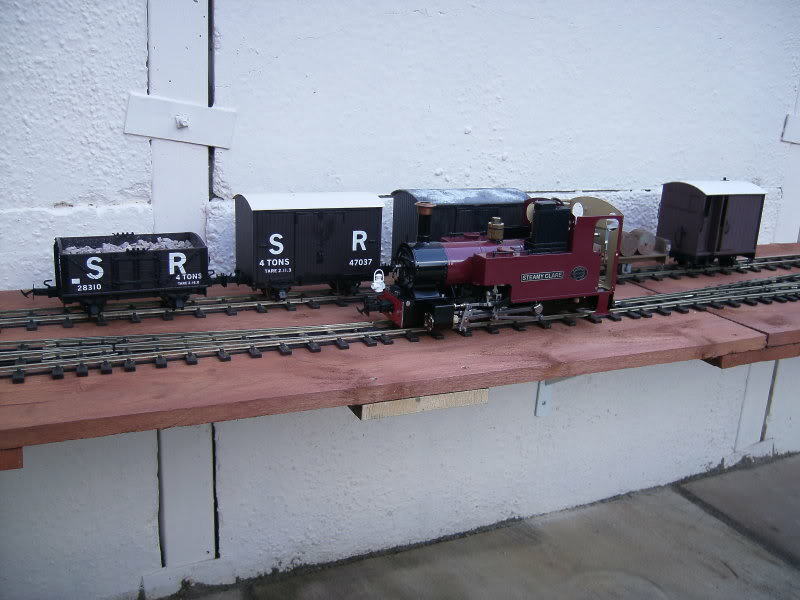 Keith S:53169 wrote: Nice little collection of wagons there. 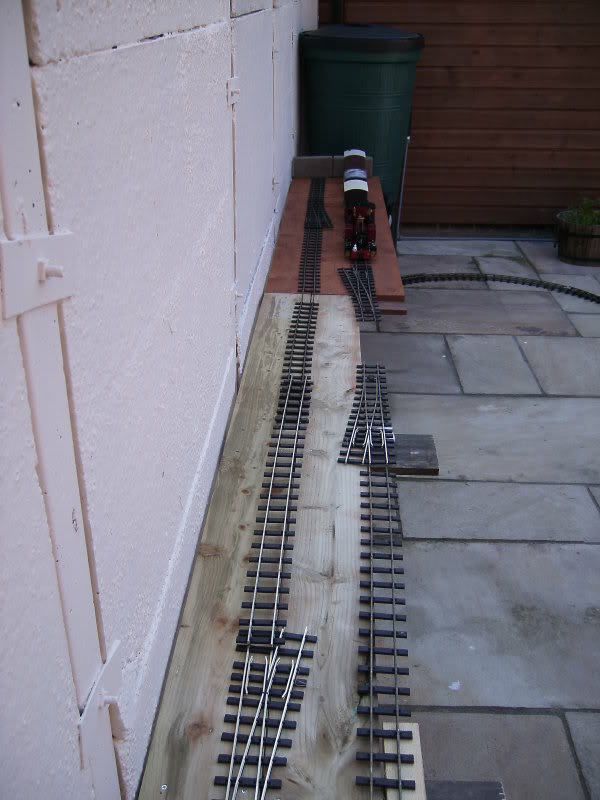 I like the planned layout with the loop and spur track. 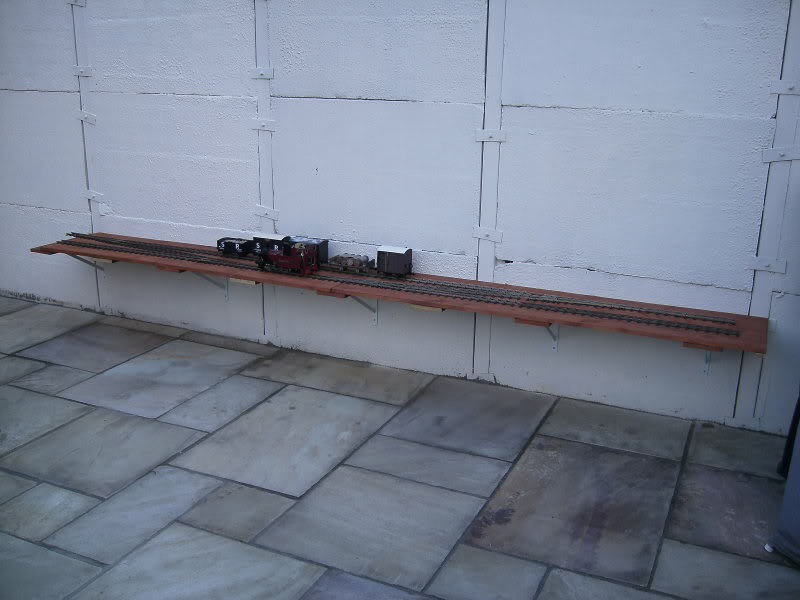 I have also thought of making this area now into a station with the buildings just jutting out of the wall to allow space for the platform (i.e. they would not be there full width I would just model the front of them to create the illusioin they are full size maybe?). Phew! - That's a "Low Relief"! 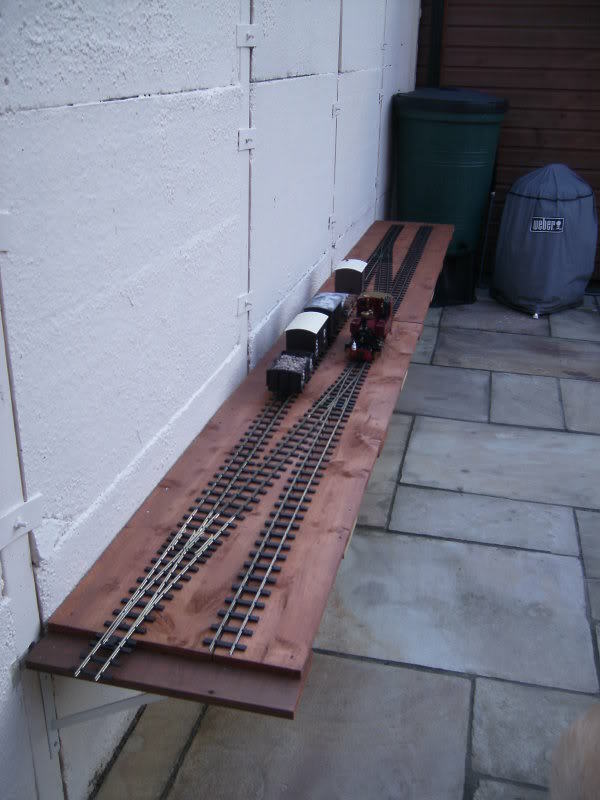 The wood needs painting and maybe a lamp bracket could be fixed to the buffer beam? 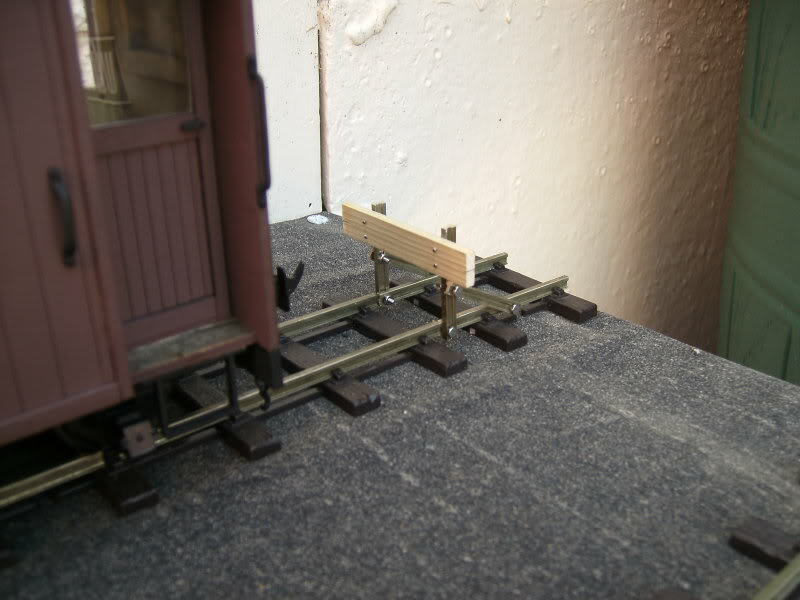 off set the lamp bracket so that its not the first point of contact for the couplings to hit. 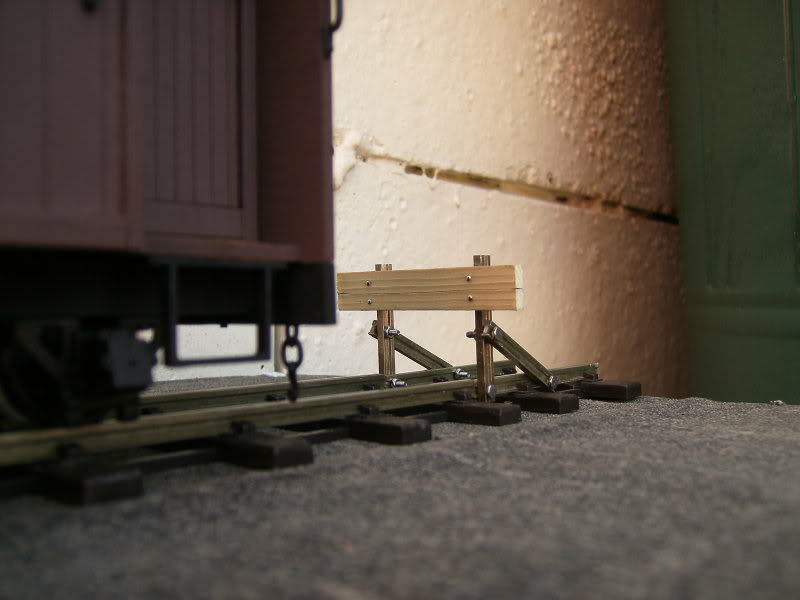 I think was thinking of using the Brandbright lamp brackets as I have a fair few of these and sticking it behind the buffer beam although I could do some as you suggested to make them look different so thanks for that.